Justin Lee Williams is an incredibly exciting young painter, who although hasn’t been painting that long, is still able to create incredible works that most seasoned painters can only dream of. Studio/ Athens- work in progress for @art_athina for @annapappasgallery and for @galerielinlassable solo in November. Claire Johnson’s ceramics are incredible, and she would have been in our list of Ten Exciting Ceramicists You Should Be Following, if it wasn’t for the fact that she also makes incredible paintings too. Jordy is one of our favourite artists ever, and for that reason we hosted his debut UK solo show Diary Of An Introvert last December. 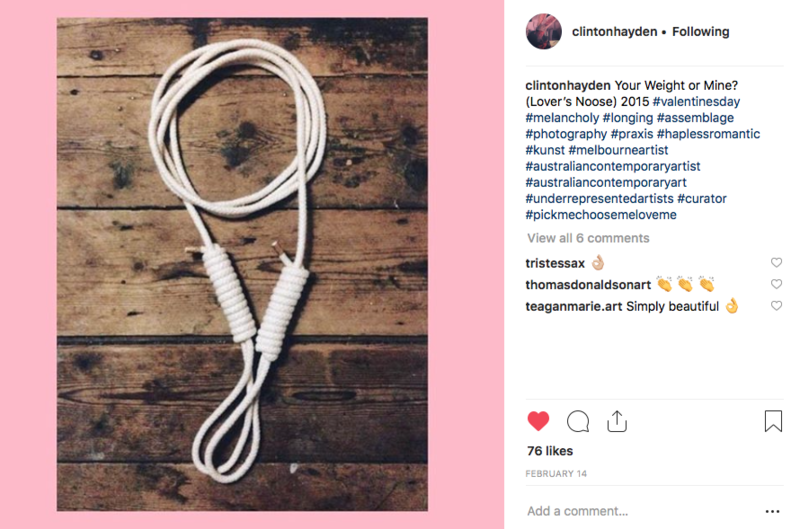 Clinton Hayden is an exciting artist who works with photography, found object, and assemblage. He combines these disparate elements to create complex works that speak of intimacy and desire. In her own words, Miranda says “My paintings speak of a desire to create sanctuary for the self”. The aim of his abstract works are to express an autobiographical interaction between previous meditation and present impulse. This interaction, which originates from organic symbolism found throughout his sketchbook, evolves in layers that inform each other in a movement dependent on the present tense. Ten exciting ceramicists you should be following.